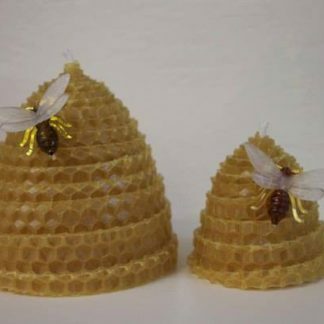 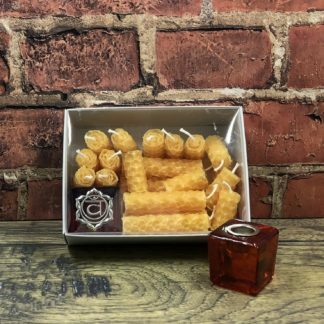 100% natural beeswax pillar with 100% cotton wick. 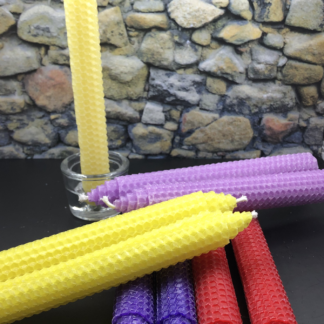 Beeswax pillar with 100% cotton wick. 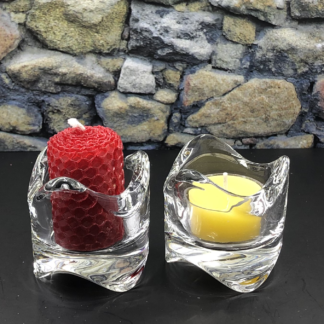 This candle is 3″ tall with a diameter of 2.5″ and a burn time of approximately 9 hours. 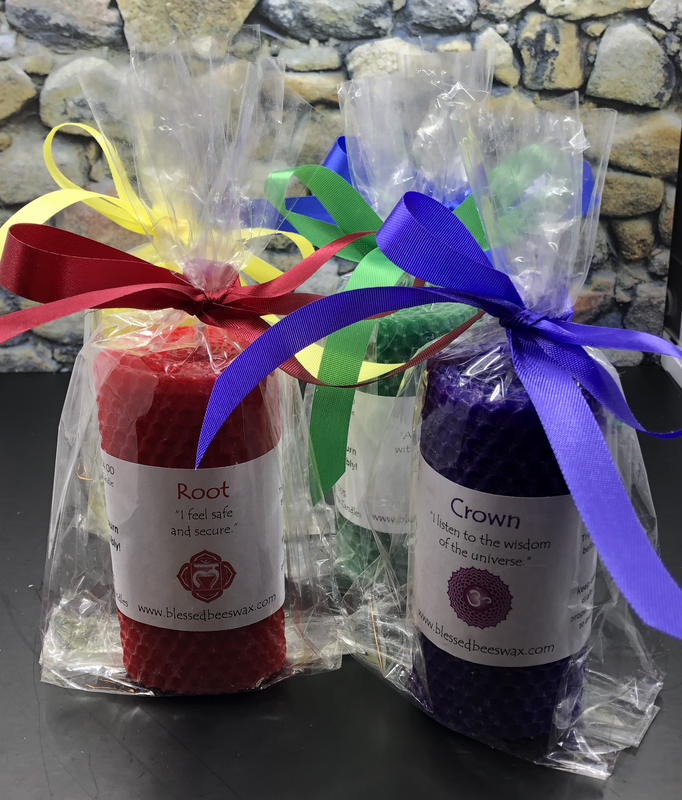 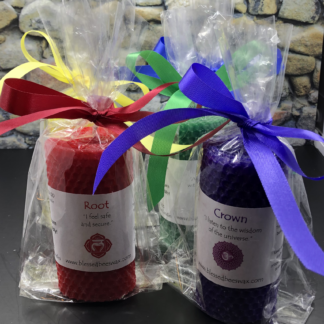 Each candle includes an affirmation related to the chakra the candle represents.